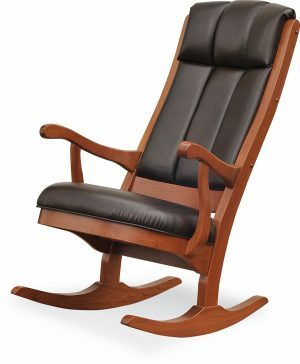 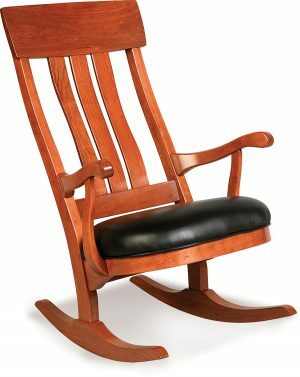 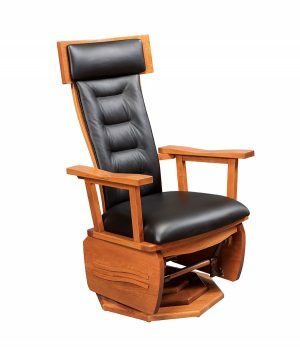 If your looking for a comfortable solid wood rocking chair we offer some great options. 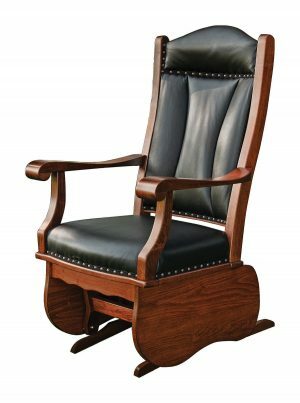 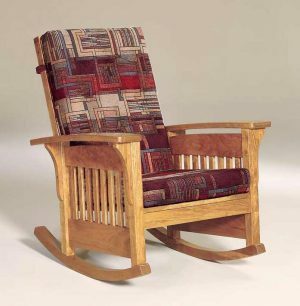 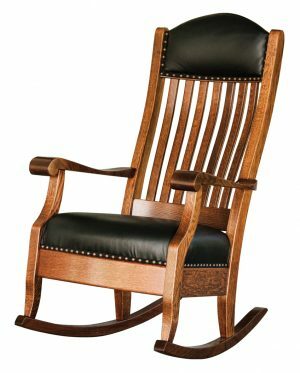 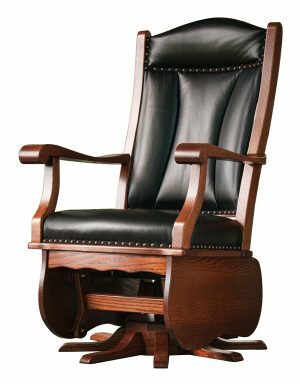 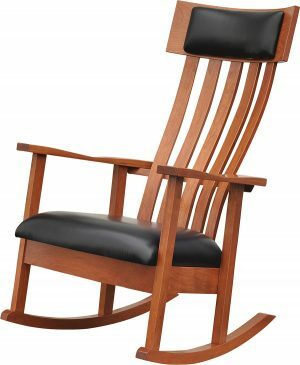 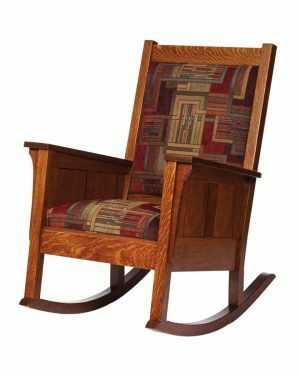 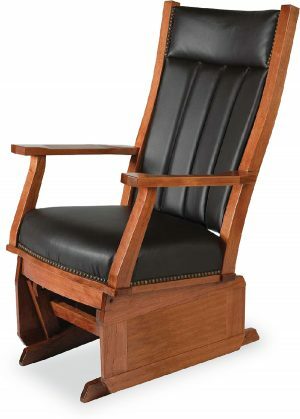 From steam bend backs with excellent lumber support to the detailed arm cutouts and leather head rests these American made solid wood rocking chairs will last generations. 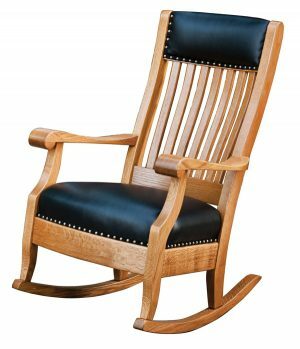 Amish Showroom offers most of the rocking chairs in all the woods listed in the drop box. 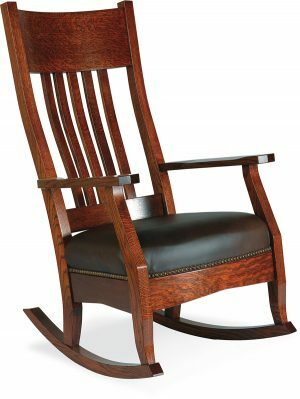 Because we build solid hardwood rocking chairs we can stain to the color of your choice. 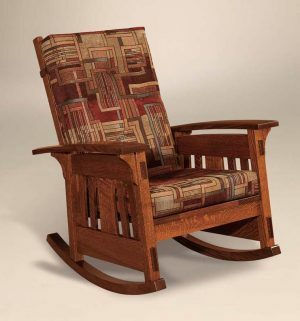 Simply request a stain sample to review while the craftsmen are building your rocking chair. 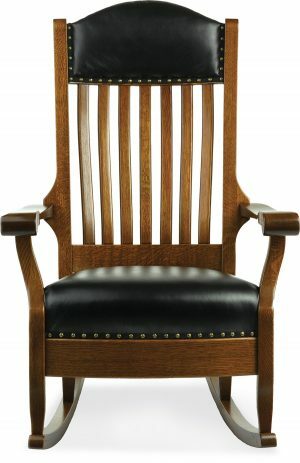 Please allow 10 to 12 weeks for lead time.